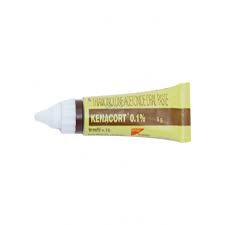 Kenacort Injection 40mg /1ml is the most effective anti-allergic injection primarily used in the allergic disease, skin infections and arthritis. 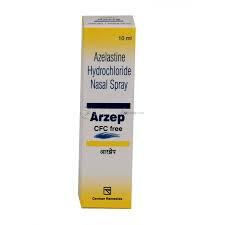 It can also be used as a pain killer by injecting it into the paining muscles. KENACORT 40 injections are used to treat allergic diseases related to skin, nose Allergies, Respiratory Tract Allergies, bad skin problems and arthritis. 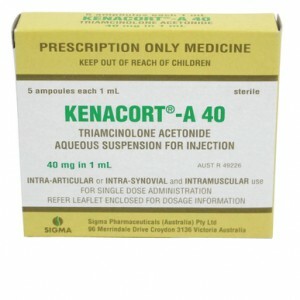 Kenacort 40 injection contains triamcinolone as an active ingredient. Kenacort Injection works by reducing the production of chemicals in the body that cause allergies. 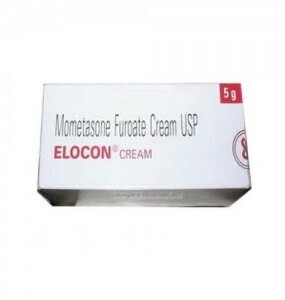 To treat these problems Kenacort is injected deep into a muscle. From the muscle it is slowly absorbed into the blood and carried by the blood to all parts of the body. KENACORT 40 can also be used to treat painful muscles, joints or tendons by injecting directly into the painful site. KENACORT 40 suppresses inflammation and swelling and relieves pain. However, it does not cure the cause of problem. 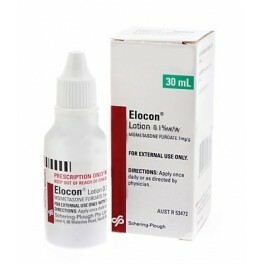 kenacort 40 mg injection is available at a competitive price at Goldendrugshop in USA. We ship all our products within 10 days normally within USA. The usual suggested initial dose of Kenacort 40 is injected deeply into the gluteal muscle. Dosage is usually adjusted within the range of 40 mg to 80 mg, depending upon patient response and duration of relief. Kenacort 40 may interact with birth control pills or hormone replacement therapy, blood thinners, cyclosporine, digoxin, insulin or oral diabetes medications. KENACORT 40 is NOT suitable for use in children under the age of six, like most medicines KENACORT 40 is not recommended for use during pregnancy and breast-feeding.